The chemical formula of Blue sapphire is aluminum oxide. Original Blue Sapphire has light shade of blue color. This is also a hard gem. Myths surround this gem as this has the fastest and quick effect on its wearer. It is also believed that this gem has only two extremes-either it will prove beneficial or it will do harm to its wearer- no midway. In solar system, Saturn is considered as a master who teaches discipline. In astrology, gem stones are recommended on the basis of placement of planets in a horoscope. Saturn controls our nerves and denotes patience, discipline, restrictions and public grace. Blue Sapphire governs this planet who is lord of two Signs namely Capricorn and Aquarius of the zodiac. Saturn is a slow moving planet emitting blue color. Saturn is generally known for obstacles. Negative Saturn causes humiliation, limitations and also causes separation from the benefits of house it denotes, if malefic. It makes a person indifferent, wicked, lethargic and deceitful. Saturn also makes a person to hold reserve nature, hard worker and straight forward. Powerful Saturn blesses the person with success in life due to his hard work. Blue Sapphire should be used if Saturn is giving malefic results in the chart. Blue Sapphire ensures confidence and enhances positive energy of Saturn. Relations with workers and labour class are improved and the wearer gets their co-operations. Industrialists should wear this gem, with the consultation of learned astrologer, to avoid strikes in their factories due to non-cooperative attitude of factory workers. Saturn has very important role while observing a chart. It denotes the nervous system in the body. If Saturn is positive and powerful in the horoscope, the person will have patience, intuition power and will be generous, energetic and prosperous. If Saturn is weak by placement in the chart or is in debilitated state or is in enemy sign, the desired results of Saturn as well as the house it denotes cannot be expected. The person lacks confidence and suffers from instability, restrictions, obstacles, lack of confidence, depression and failures. When Saturn is placed in the chart with Sun, Moon, Mars and Rahu, it gives negative results. In Astrology, placement of Saturn in certain houses is responsible for Sadhe Sati (Seven and half years period) or dhaiyya (Two and a half year period). These periods generally bring bad luck as it can cause separation from the benefits of the houses Saturn denotes. Sadhe Sati is formed when Saturn transits 12th from the Moon, the Moon sign and the second house from the Moon. Gems affect the subtle energy field of human being. (To understand subtle energy, see our article Theory of Subtle Energy). Our energy and thought process and accordingly the actions (karmas) are governed by this subtle energy. If malefic planets are posited with Saturn in the chart, Blue Sapphire can be worn. But finally before wearing this gem, the horoscope should be got analyzed by learned Astrologer. When Blue Sapphire is worn in a ring, the continuously vibrating power of Saturn is absorbed in the individual’s aura. Thus, the aura becomes more powerful to protect the individual from any obstacle caused through any external negative energy. The wearer is blessed with prosperity, fortune, fame, happiness, longevity. The wearer gains confidence and feels energetic and active. 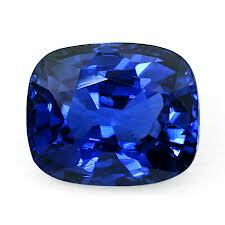 Blue Sapphire is also recommended for those who are running period of sadhe sati. It can reduce the obstacles or problems caused through sadhe sati to minimum. It is also believed that Blue Sapphire prevents the wearer from evil eyes. Saturn also indicates long and chronic diseases. Those who are in the field of surgery, transport, sale and purchase of land/mines, machines, oil etc. should wear Blue Sapphire with the consultation of learned Astrologer. Negative, malefic or weak Saturn denotes long and chronic disease like bones and knee problems, rheumatism, paralysis, insanity, lack of energy level etc. Wearing Blue Sapphire can help in curing these diseases. Blue Sapphire may be embedded in Silver and ring should be worn on Saturday night (Shukla Paksha) after dipping the ring in Gangajal or un-boiled milk and energizing the Gem with the prescribed mantras. Blue Sapphire is considered a cold gem by nature.